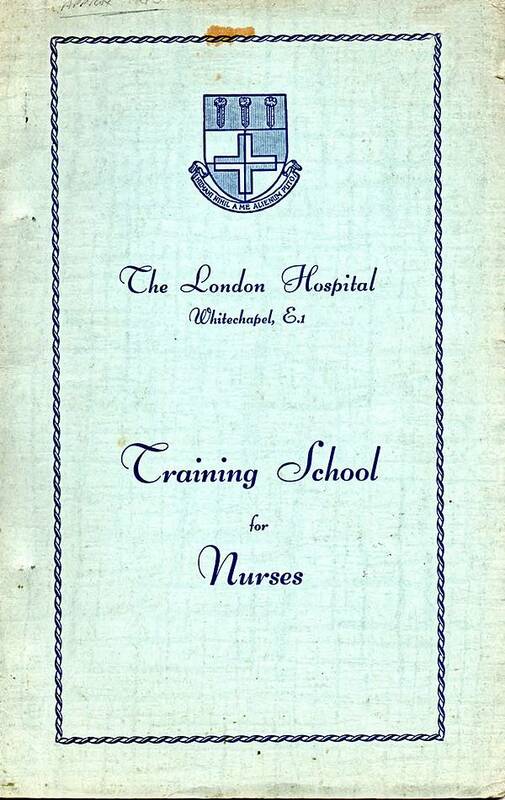 War time prospectus for trainee nurses at the London Hospital. 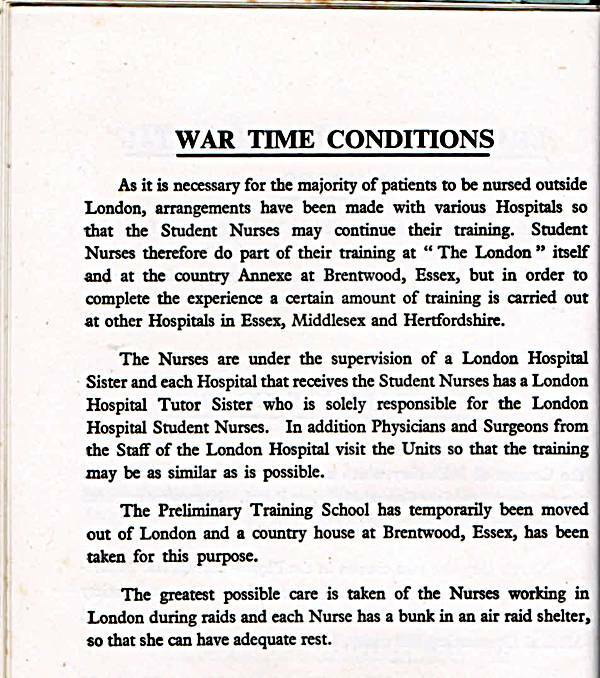 Most of the patients had been evacuated to Brentwood but any nurse working in London is provided with a bunk in an air raid shelter! 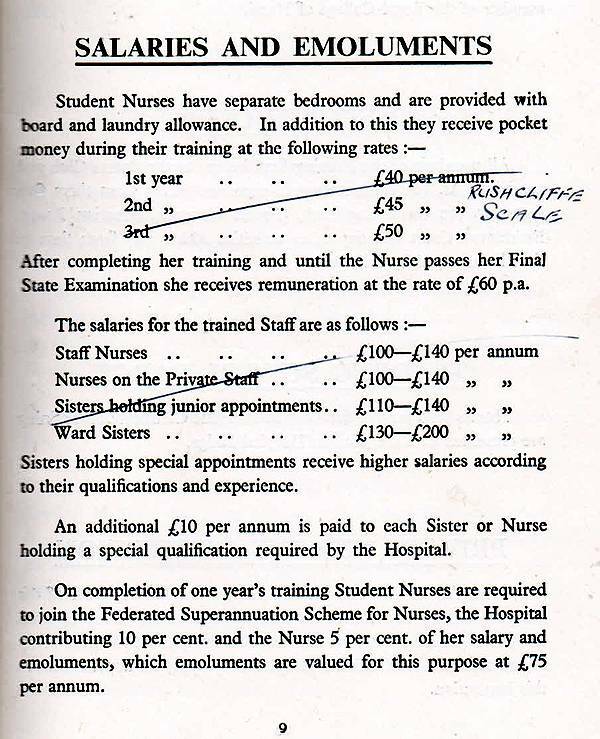 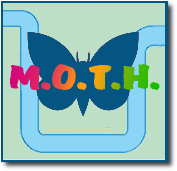 Salary of a qualified staff nurse £100 to £140 PER YEAR!